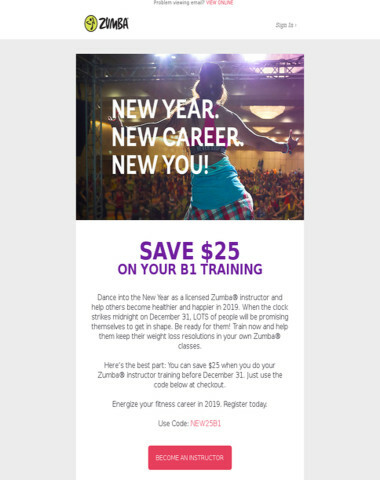 Zumba - Register For A Basic 1 Training By Feb 15th! 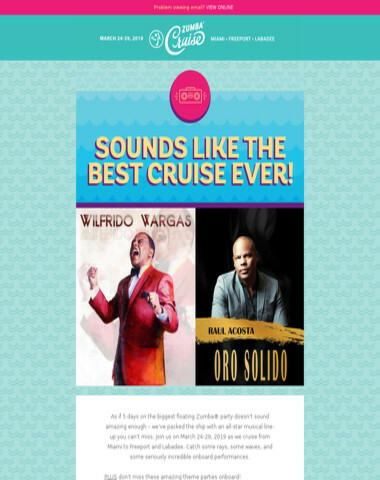 Choose From 2 AMAZING Offers When You Sign Up. 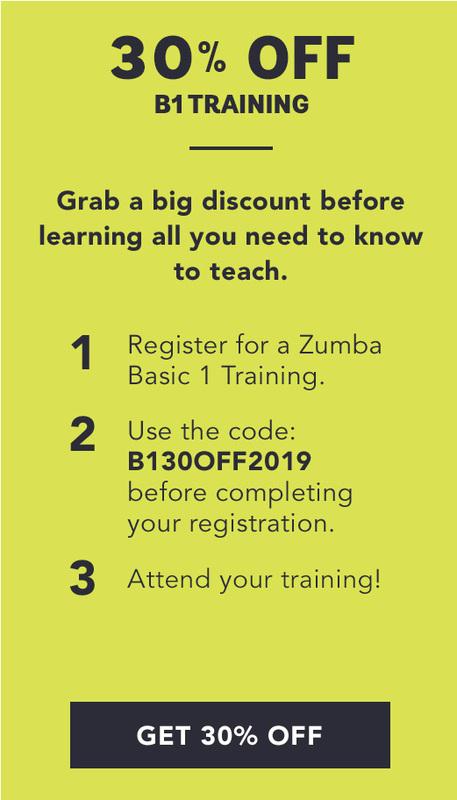 Coupon codes FREEZWB12019 &B130OFF2019 are valid on B1 and Jump Start Instructor Training Courses and expire February 15,2019. 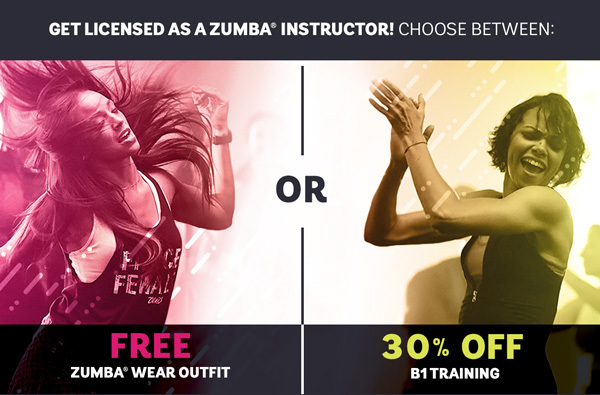 Zumba Wear Outfit offer valid for Zumba® Basic 1 trainings in the United States,Austria,Belgium,Bulgaria,Croatia,Cyprus,Czech Republic,Denmark,Estonia,Finland,France,Georgia,Germany,Iceland,Ireland,Italy,Latvia,Lithuania,Luxembourg,Malta,Netherlands,Norway,Portugal,Romania,Slovakia,Slovenia,Spain,Sweden,Ukraine,and the United Kingdom (the “Included Countries”). 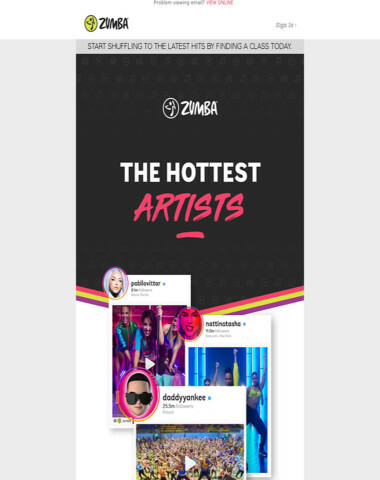 'Free Outfit' offer includes one top and legging to be elected by Zumba and made available as a bundle for selection in the Zumba Wear shop on Zumba.com (the “Bundle”). 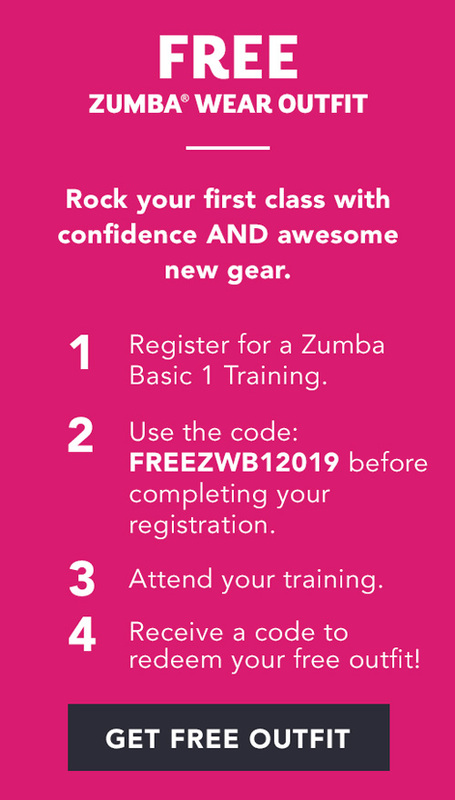 If registering with code FREEZWB12019,the coupon code to receive the Bundle will be delivered after completing the training course and is only valid in the shop on Zumba.com to shipments made in the “Included Countries”. 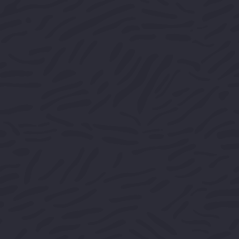 Coupon Code for free outfit must be used by January 14,2019. 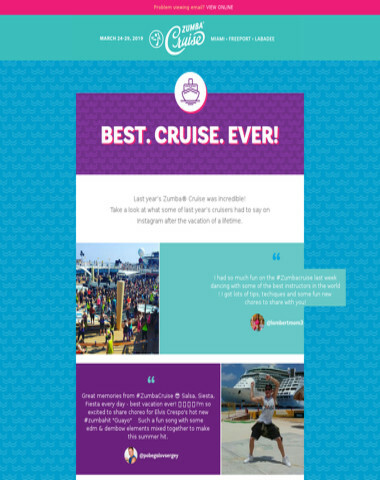 Offer not applicable to shipping and handling charges or taxes. 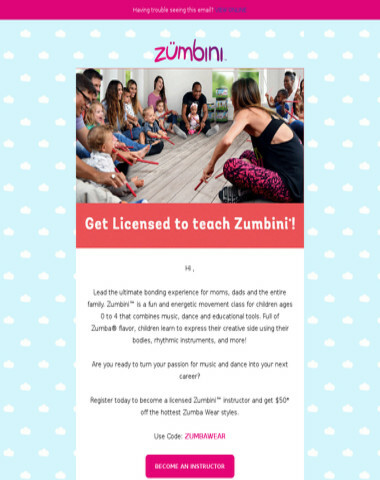 Coupon Code is non-transferrable and offer is subject to change at the sole discretion of Zumba at any time.